This past year has been an absolute whirlwind for me and has made me reflect upon and realize quite a few things about myself. I won’t bore you with every little thing I learned, but there is one that has been on my mind for a while now, and that’s home. To give you an idea of my past year, I spent a few months living in Hong Kong, then spent a summer traveling for an internship, and am now at NC State to start my final year. I think each part of this year has given me a new perspective on home. A question I got a lot was “Why Hong Kong?” As a first generation Asian-American, I have always grown up with Eastern roots in a Western world and have tried to find an identity that balances them both. Hong Kong is currently trying to find its own identity since it was given up as a British colony in 1997 and will become a part of China in 2047, so it seemed like the perfect place to explore. Don’t let this well-thought-out answer fool you: I did little to any research about the place, didn’t know the language, didn’t know anybody there, and didn’t even really know what it was like. Yet, this is exactly where I wanted to go. I wanted to go to a place that would be completely out of my comfort zone and make me constantly adapt. I wanted to find out if I could find happiness in complete chaos and confusion. Since I was born and raised in Raleigh, coming to NC State wasn’t as huge of a shock to me as it was so close to my previous home. Hong Kong became the first opportunity I had to make my own place and fall into my own routine with complete independence. Getting this chance to essentially hit a “reset button” on life (albeit for just a semester) was daunting at first, but I very quickly started to learn more about myself than I could imagine. I found out I enjoyed walking among a sea of people, completely alone yet constantly surrounded by life. I discovered that I was the type to wake up early and go to the gym, and then take the time to walk to a local bakery and have a conversation with the staff while munching on my favorite sweets. I was crammed into a small 7′ x 12′ dorm with a stranger, but realized I was comfortable in the smallest of spaces. Aside from finding a personal routine and comfort, a big aspect of my time abroad was my social life. 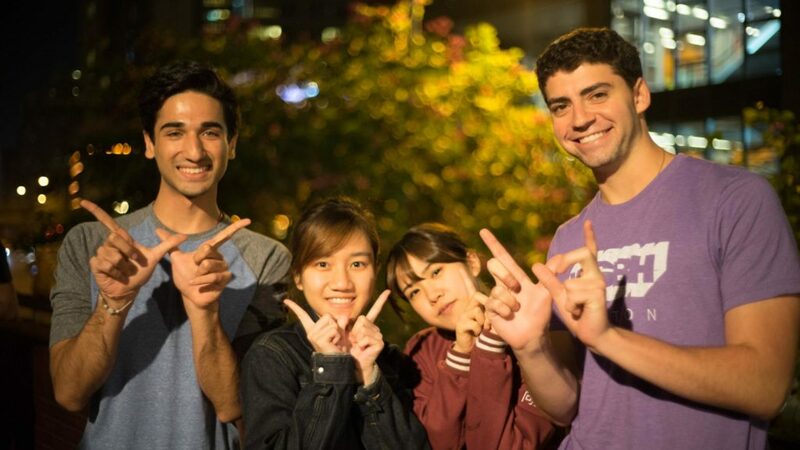 Many people tend to flock towards their international peers due to similarities, but I took that as a challenge to integrate myself with the locals. Initially, I was a nervous wreck, simply showing up to events where I was the only native English speaker and just hoping someone would acknowledge me. I found out that the locals were as nervous to speak to me due to their lack of English as I was to speak to them due to my lack of Cantonese. I then said to myself, “There isn’t enough time to slowly get comfortable and break down the barriers.” This is when I decided to put myself out there and embrace everything going on around me and (very poorly) speak the language. As I laughed at myself and my poor attempts to integrate with my surroundings, the locals started to very quickly take me in and teach me everything I needed to know. I suddenly went from having zero friends in the country to having too many to spend time with them all. I can go on and on about my time in Hong Kong and the amazing things I saw and experienced, but the two things I mentioned above are the most important. I can now confidently say that I went to a place where I didn’t know the language, the culture, or the people but found a place for myself. It was my first time completely on my own and I really took the time to explore what I wanted out of life. This self-reflection is something that will always stay with me, and for that reason, Hong Kong will always be the first home I can call completely mine. My summer internship was at a consulting firm that involved moving to Atlanta immediately after my time abroad. While moving to a whole new city was one thing, I was actually hopping on flights at the airport every Monday and Thursday as my commute to and from the office. As a consultant, I was expected to go to wherever my clients were and work on-site four days out of the week. Bouncing around between cities around the country every week is definitely a fun experience, but I also found myself waking up some mornings and not immediately remembering what state I was in. As you can imagine, this made falling into a daily routine a bit hard since there would be some weeks I didn’t even know what city I would be in until just a few days prior. This constant movement and being put into new environments made me face the fact that I was pretty much “houseless.” Sure, there was a room in an apartment that I was paying for and technically could call my house for the summer, but seeing as there were times I would only visit it a few days in a month, I wouldn’t really call it that. After spending the months prior to this in Hong Kong and understanding what small things I wanted and needed to call a place home, I was now thrust into a situation where there was no physical place to call home. This lifestyle forced me to change my thoughts on what home really was. I had to look past the physical characteristics and delve deeper into the thoughts behind them. To be honest though, the answer I found for myself was quite simple. I admit I am still very young and have hardly had a taste of the real world, but as someone with little-to-no commitments it was easy to find comfort on the road. I learned that a piece of home could be found at every place I travelled to. For example, if I was flying to Charlotte one week then I would find home in the friends I knew in the city and would spend time with them after work. If I was flying to DC another week, I would explore the museums and satisfy my desire to explore particular topics. If I was lucky enough to fly to Raleigh for a week, I found home in my family and would spend time with them. The summer taught me that my home can be found and made anywhere, as long as I kept a positive attitude, open mind, and took the time to make it. As I start my final year at NC State, I have noticed there is a lot that I have gained from my time here. Firstly, every opportunity that I have had to grow has been due to either the Goodnight Scholars Program, my department, or NC State. With each opportunity to grow, I have always known that I would be coming back to campus and get a chance to really apply what I have learned. I am currently sitting in Talley, watching crowds of first-year students walk by, and can feel that exciting energy all around. The excitement about exploring a completely unknown world. The excitement about having so many opportunities that you aren’t even quite sure what you have the chance to do. The excitement about slowly realizing these next few years you will be calling NC State home. This excitement has made me realize that NC State has been extremely important for every type of growth and progress I have made these past few years. There is something about campus that is incredibly inviting and makes me want to simply explore more. From the Coaches Corner to the Free Expression Tunnel you’re surrounded by history filled walls, a colorful past that you could spend hours looking into without getting bored. There is also a sense of constantly moving forward and improving, with parts of campus consistently under construction and being improved every year. You find yourself at a crossroads of its past and future, and just want to explore the opportunity it provides in the present. 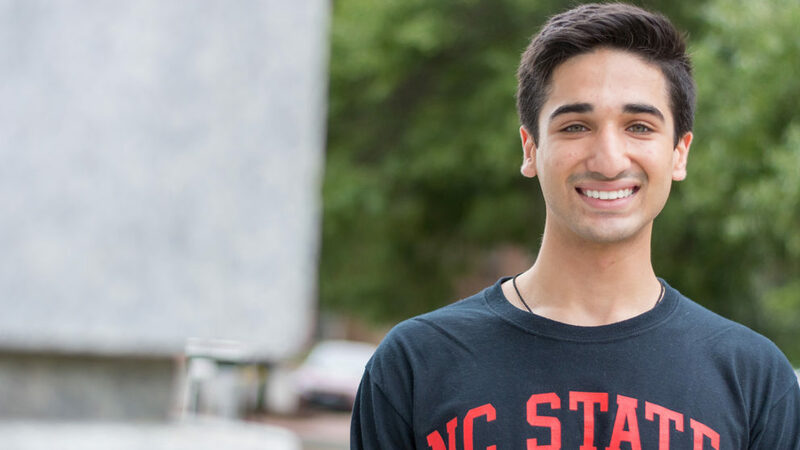 Every year I have spent at NC State has brought along opportunities that have allowed me to become more confident for when I inevitably must leave. I still don’t feel comfortable leaving yet, knowing that I have a lot more I need to learn from NC State, but seeing as I have my final year ahead of me, I hope that I can make the most of it and feel comfortable finally saying goodbye when the time comes. These incredible four years have been enjoyable, adventurous, and defining; which is why NC State, for now, is home.